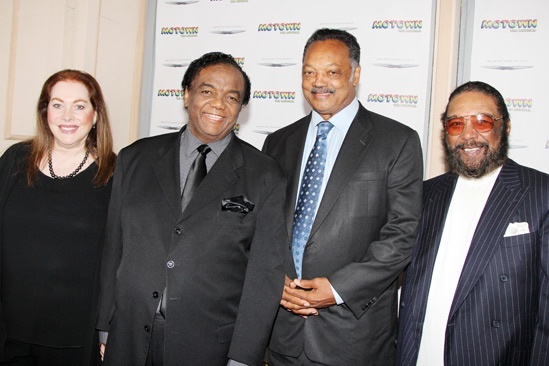 Rock 'n' roll hall of famer Lamont Dozier (with his wife Barbara), Rev. Jesse Jackson and Brian Holland flash a smile. Dozier and Holland were part of famous songwriting trio Holland-Dozier-Holland.